Welcome to phase 2 of this blog. I’ll be posting every Friday morning from now on, so add this to your feed, or subscribe, or whatever you do to keep up with the cool new stuff. Oakland has lots of streets that are special for one reason or another. As I threaded its labyrinth I wished I could show them to you, but didn’t want to interrupt the parade. Now I’m getting around to them. The Work Projects Administration or WPA gave millions of skilled and unskilled people jobs during the Great Depression. 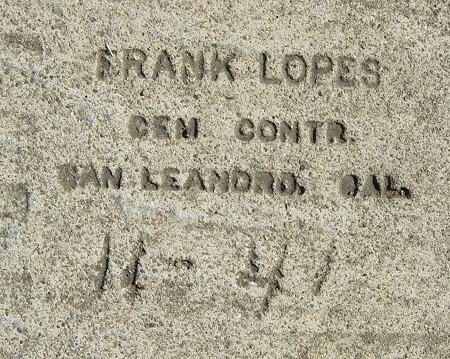 Their work added a great deal to Oakland’s cityscape, not least in its sidewalks. Lawlor Avenue seems to have been entirely paved by WPA workers in 1941 — curbs, sidewalks and driveways. It has an unusual unity of appearance for that reason, and the work is almost unmarred even 75 years after the last trowel was washed dry. In that respect, it’s a heritage street. When he hand-drew his mark, J. Kemble sometimes used his initial, sometimes not. With this example, I now have both types from 1941. 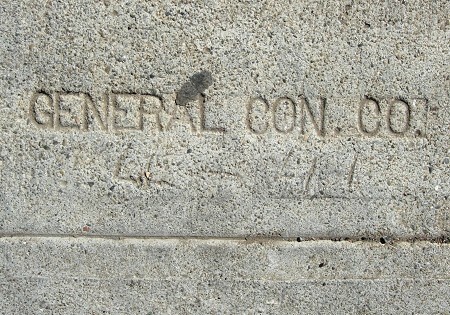 1941 – General Con. Co. This is a better strike than the previous one I documented several years ago. 103rd and 104th Avenues are interesting. 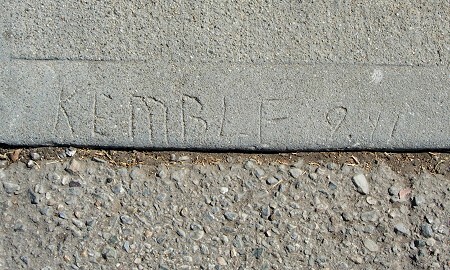 The curbs were laid out without driveways, and each lot had a stamp with its number in the sidewalk. the sidewalk makers also put arrows in the pavement, but I’m not sure what the mark signifies, perhaps the location of the water lines. Each homeowner had to pay a concrete worker to cut out a driveway, and almost all of them are crude and unsigned. 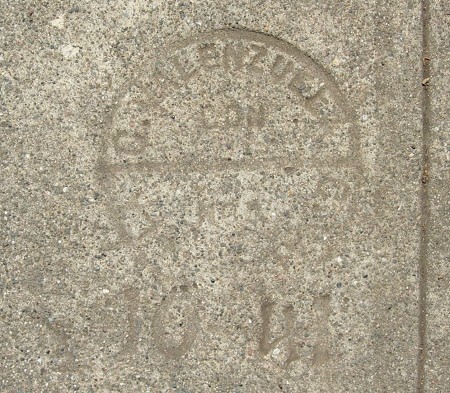 Valenzuela marks from the 1940s are quite rare. 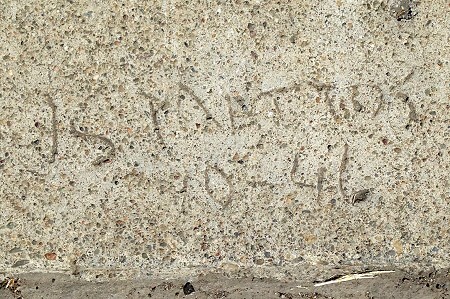 This gives me a date for the otherwise-undated J. S. Mattos Concrete Co. mark. This is a much better strike than my previous example. 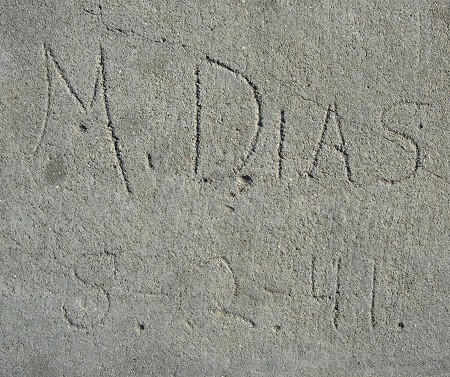 A hand-drawn mark to go with my stamped mark from this late year in Dias’ career.